The plan is 19m ×19m and single story building. Semi-exterior penetrates the building and connects different rooms – training hall, classroom, offi ce, tea ceremony room etc. We built 43 sheets of RC wallpillars (210mm of thickness, 2420mm of height, and 1050mm of width) and join thm with beams in the top. These beams become the drainage in the rain season. The wooden roof trussed with three different spans have same height. 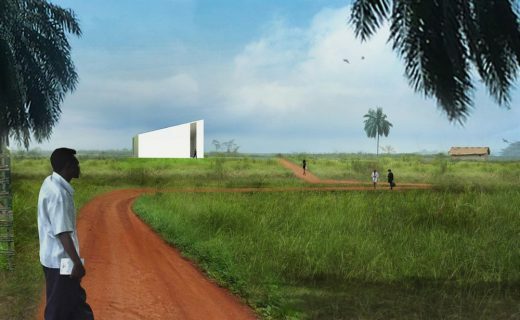 A semi-exterior corridor and the outside courtyard will become the important environmental buffer and the place where people gather in the dry season. 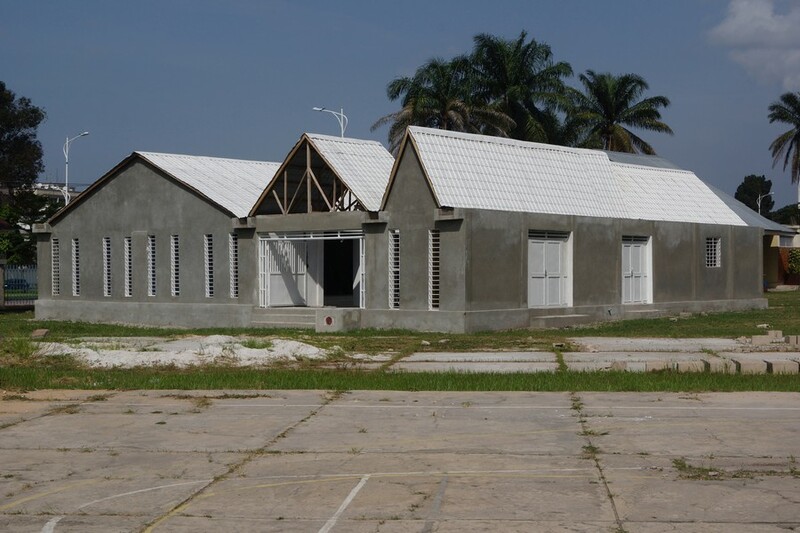 This building looks simple from outside, however the inside space has more complicated impression because the interior and exterior space are coexiting. This building was built with small scale of governmental budget (10 million Japanese Yen) and by non-professional workers, so that the building has open and tolerant atomosphere.